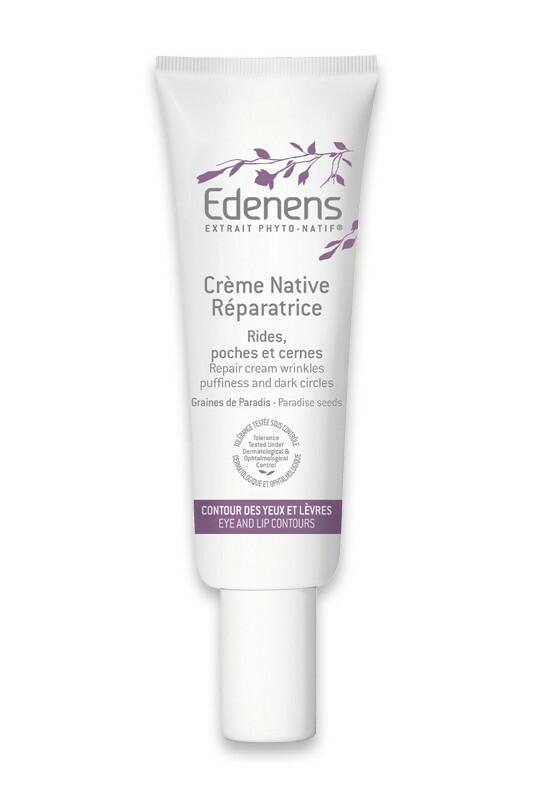 Edenens Eye and Lip Contour Repairing Skincare is a moisturizing* anti-ageing skincare for eye and lip contour, with triple action anti-wrinkle, anti dark circles and anti-puffiness. Combining the freshness of a gel and the comfort of a cream, its texture is absorbed instantly to reveal a youthful sparkling glance and redefined lip contour. Paradise Seeds protect it from skin ageing thanks to its high content of tannins and vitamin E while White Lily diminish puffiness volume and dark circles colour. Phyto-Native Extract feeds skin cells with essential nutriments : peptids, amino acids, minerals. 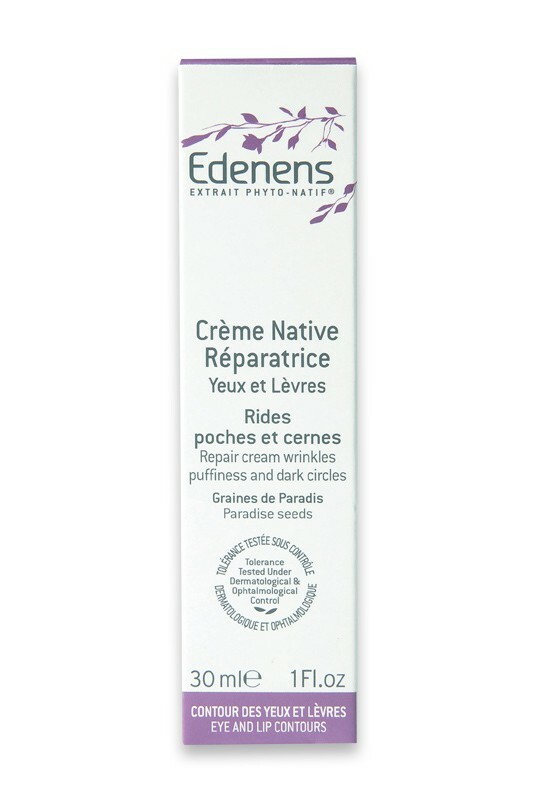 Just after applying Edenens Eye and Lip Contour Repairing Skincare, eye and lip contours are smoothed out. After one month of use, the appearance of wrinkles, dark circles and puffiness is visibly diminished. Skin tolerance tested under ophtalmologist and dermatologist control. * Moisturization of superficial layers of the skin. Apply day and night Edenens Eye and Lip Contour Repairing Skincare on eye and lip contour, using smooth motions then tap from the inner corner towards the outside. Aqua, Octyldodecyl Myristate, Dicaprylyl Carbonate, Cetyl Alcohol, PEG-9 Beeswax, Soluble Collagen, Glycerin, Caprylyl/Capric Glucoside, Sodium Polyacrylate, Lilium Candidum Flower Extract, Pfaffia Paniculata Root Extract, Ptychopetalum Olacoides Bark/Stem Extract, Hydrolyzed Soy Protein, Fagus Sylvatica Bud Extract, Onopordum Acanthium Flower/Leaf/Stem Extract, Aframomum Melegueta Seed Extract, Hesperidin Methyl Chalcone, Dipeptide-2, Palmitoyl Tetrapeptide-7, Steareth-20, Helianthus Annuus Seed Oil, Alumina, Titanium Dioxide, Alcohol, Ethyl Mentane Carboxamide, Tocopherol, Benzyl Alcohol, Sodium Dehydroacetate, Dehydroacetic Acid, Phenoxyethanol, Potassium Sorbate, Benzoic Acid, Citric Acid, Sodium Citrate, Chlorhexidine Digluconate.